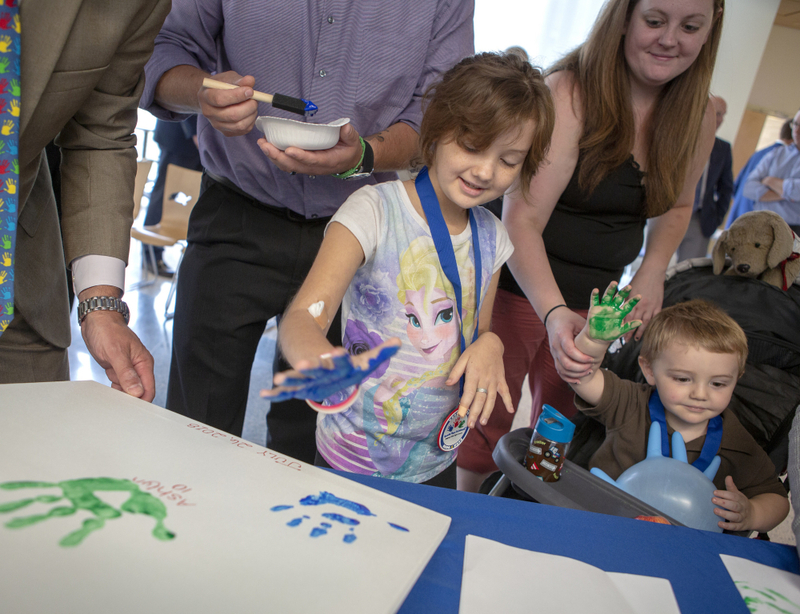 Multi-colored handprints marked the day as Hyundai Hope on Wheels presented Penn State Children’s Hospital and Dr. Barbara Miller with a check for $100,000 toward pediatric cancer research. Miller is director of the Four Diamonds Pediatric Cancer Research Center at the Children’s Hospital. 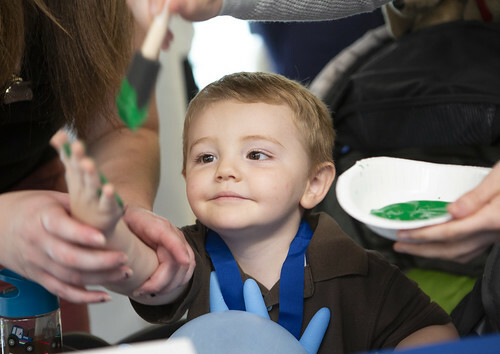 Following some remarks and a check presentation ceremony, children battling cancer had the opportunity to dip their hands in paint, then place them on a white canvas. The Children&apos;s Hospital is one of 21 institutions across the country to receive a grant this year through the Hope On Wheels program. With the latest grant, the Children&apos;s Hospital has received more than $1,735,000 from Hope On Wheels.